Artsygranny's Digital Delights: Happy Haunting! Hi! Sorry I have been absent for a few days. I have been busy designing new projects for Raspberry Road and working my day job. Susan has a new website/store that will be opening on November 1 and we are all excited about the new things that will be happening there. All of our blogs, forum, gallery and the shoppe will be under one roof now. We are planning a HUGE Grand Opening Celebration, which will coincide with the 1st anniversary of Raspberry Road Designs. It's hard to believe it has been a whole year since Susan opened Raspberry Road. Today, on Susan's blog you can pick up this cute little project I designed using her new kit Happy Haunting. This is a sample of a new line being introduced at the store called Printables. These will be quick little projects that can be printed from your own computer, assembled and used as gifts for all sorts of occasions. I had planned to show you a photo of my finished box, but my little ghostie took it home with him before I could take a picture. 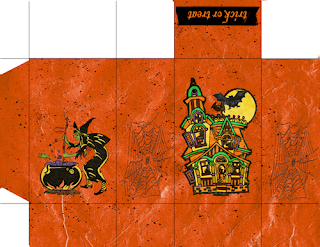 Anyway, today's freebie is a pinch box that would be perfect for your Halloween treats. Included in the zip are instructions for printing and assembling this box. You can swing by Raspberry Road and pick it up. We would love to hear what you think of this new line, so if you download and use this project, please leave a comment. Just stopping by to say hello! You do lovely work. The box is a VERY neat idea & thanks so much for sharing. 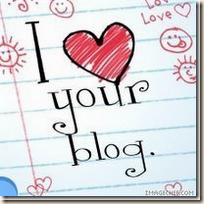 This is my first visit to your blog - you're on top of me at the blog train. I'm glad I came by. Sounds like you're in midst of a very talented team. What a great idea, unfortunately we don't have Halloween here.